Facebook seems to be focusing on Indian market today. Many of the newly available new features were made available to Indian customers before the rest of the world. The first of these is the Facebook Cloud. If you have to talk about our cloud storage so far, Google Drive, like Dropbox, says more about it. Now comes the option of saving the storage on their phones indirectly to unknown customers about the Facebook cloud. No longer wary that there is little space in the phone's internal storage and memory card when your videos are captured on the phone. 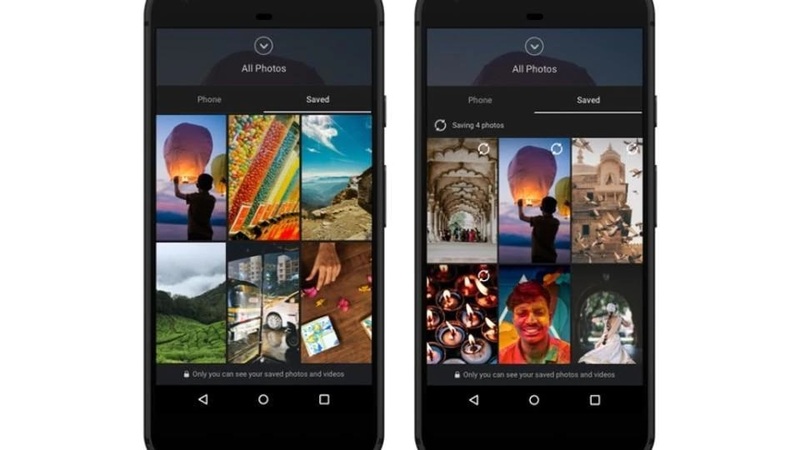 Photos that are captured by your phone's camera from time to time may be stored in special cloud storage that is visible only to you in your Facebook account. All you have to do is open the Facebook application on your phone without opening the camera application and open the camera and then shoot photos and videos and save them in the publicly available Facebook Cloud Storage. Facebook does not clarify how much storage space is available. This option is very useful for users who use low-cost budgeted phones on the phone as they are less likely to be less storing. And now Facebook videos can not only have videos and audio posts. This option was originally available only a few days ago but is not available to everyone. A newly introduced audio post facility is used to share audio recording of what they want to share with their friends. Besides, it is also convenient to archive Facebook stories.